What makes Mike great for this job? In my experience as a school board member and as a policy maker at the state level, I have found spending your time looking for someone to blame or making excuses is a waste of valuable time. Our time is better spent finding the root causes of the problem, providing teachers with the tools and incentives to provide innovative alternatives, be bold and seek results that will tear down the barriers to growth and opportunity for our students, helping our students grow and thrive, and embrace parents as partners as we open new vistas for our students. I am proud of what we have accomplished in my four years as a San Juan School Board member, but there is much more to be done. Here are my top six priorities and the actions and activities that are necessary for their accomplishment. Recognize that among our most critical partners are our bargaining units that represent our teachers and specialists and our classified employees. It makes very little sense to treat them as adversaries. Mike is a lifelong teacher, parent and community member dedicated to improving schools and developing star teachers for our students. Mike has taught in elementary, high schools and colleges for fifteen years. He volunteered in his son’s classrooms and other classrooms in the district for the last fifteen years, tutoring, talking about his experiences around the world including his service in India, teaching the school’s anti-bullying curriculum and other duties as needed. He has visited hundreds of classrooms and interviewed thousands of teachers across the country seeking what it takes to be a great teacher and building self-renewing schools. In his term on the Board he has visited every school and facility in the district, many of them multiple times to help, to listen, and to encourage. By teaching villagers how to raise chickens in India as a Peace Corps Volunteer, serving in the Big Brother Program, working with children as a coach and umpire, giving blood (ten gallons), serving in the Rotary Club of Orangevale, participating in community advisory boards, such as volunteering at Stage Right Productions, a children’s theater company, and Oak Park Rotary House providing free lodging for families whose children are receiving services at UC Davis, Mike is committed to making our communities a great place to learn and grow. Mike was elected to the School Site Councils at the elementary schools where his son attended. He was appointed to the district’s Curriculum, Instruction and Student Services Committee and served for eight years. He served on the district’s Strategic Planning team, and was asked by his son’s high school to serve on the Superintendent’s Parent Advisory Committee. In his one term as a School Board Trustee he served as President, Vice President and Clerk. He was elected by his peers to be a member of California School Board Association’s state Delegate Assembly. Mike has been involved in research on teaching since 1972. He has participated in more than thirty research studies in the areas of school improvement, staff development, curriculum design, and teacher development. This research resulted in more than eighty publications including books, chapters, governmental reports, and refereed articles. As a member of the San Juan School Board, Dr. McKibbin has been active in efforts to increase the use of well researched, successful programs implemented by other districts across the country and to use the information that we collect to expand student opportunities, improve teaching strategies, create real world, advanced and challenging classroom opportunities for our students. Mike has been involved in the development of innovative materials and strategies for teachers and classrooms throughout his career. From his first days as a teacher he rewrote the Sophomore World History curriculum and readings to make them readable, engaging and challenging to his struggling students. When Class Sizes were reduced in California causing the largest shortage of teachers in the state’s history, he created a program that would bring into teaching thousands of second career, military and instructional aides who wanted to become a teacher using a “learning by doing” format. Through this program he enabled nearly 60,000 persons to become teachers in California’s hardest to staff classrooms with forty-eight percent representing racial and ethnic minorities. 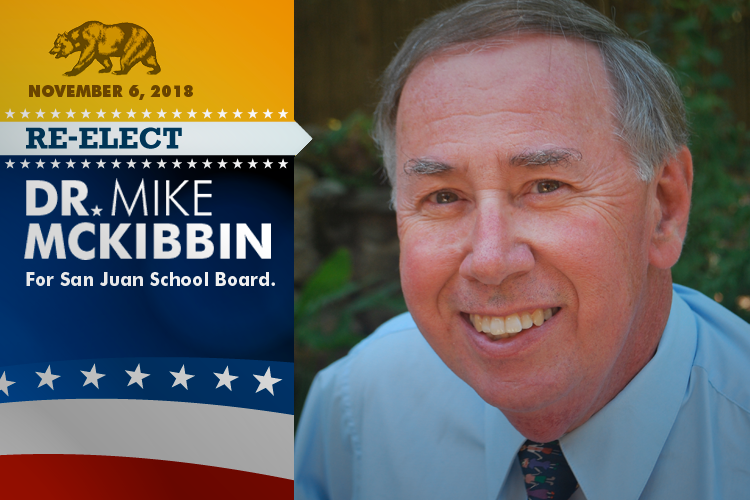 Dr. McKibbin was involved in the development of education policy for twenty-seven years while working at the Commission on Teacher Credentialing. Over the years he made more than ninety presentations that made policy recommendations on teacher certification and teacher preparation and to this Governor appointed board. He was involved in the drafting of legislation on the topics of subject matter preparation for elementary teachers, linking professional growth and continuing education to credential renewal and providing alternative, practice-based ways to become a teacher. Mike is frequently asked to testify before the California Legislature on critical issues facing education. Need to be in touch?